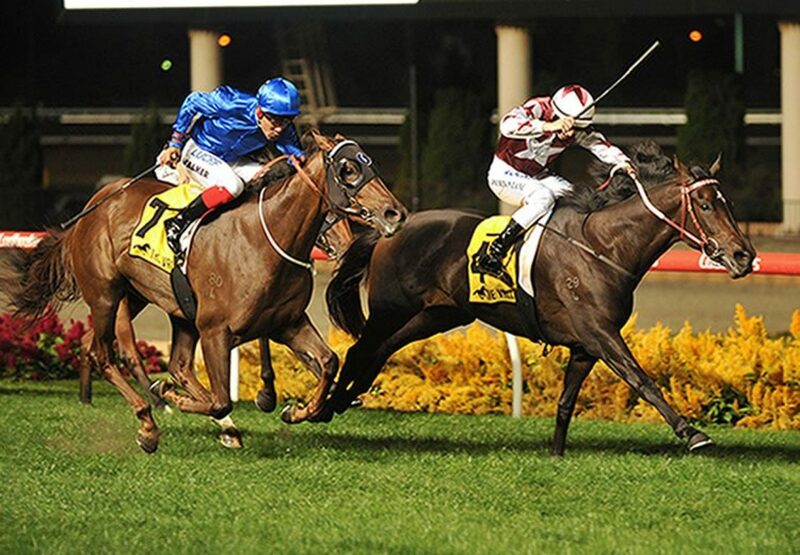 The Group III MVRC Alexandra Stakes at Moonee Valley on Friday night was won by up and coming filly Think Bleue (3f So You Think x Ballybleue, by Peintre Celebre). The lightly raced filly from the Darren Weir stable won at Ballarat and Caulfield in February before finishing second at Sandown on March 14. 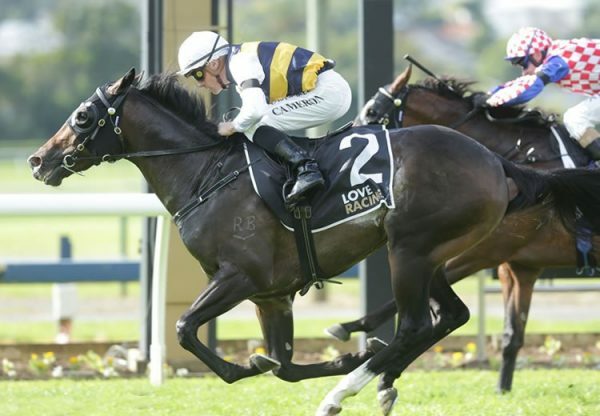 Well fancied to challenge the favourite Palazzao Vecchio in this 1600 metre assignment, she proved up to the challenge, surging home from back in the file to score a head win, her third from just six starts with prizemoney topping $170,000. “She’s raced through the grades nicely, although it was a big step up in grade for her tonight and she’s done a great job,” said winning rider Damian Lane. Darren Weir was well pleased with the filly and will look to Adelaide with her for the Group I SAJC Australasian Oaks on May 5. “She’s a really good filly and has shown us plenty at home.” said Weir. “She was very strong through the line. She’ll get out to 2000 metres and maybe even further. 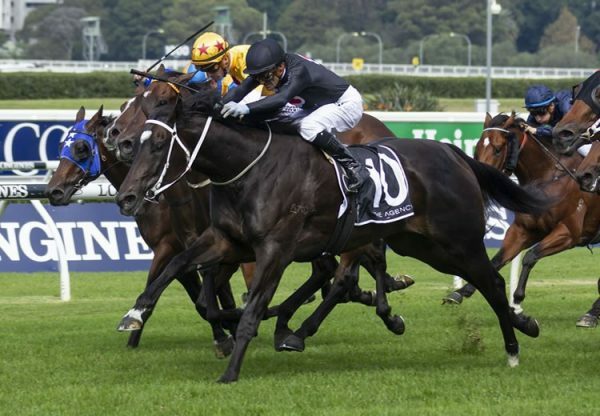 “She’s got a good pedigree and with Black Type now will be a valuable filly. An $80,000 Magic Millions National Yearling Sale purchase from the Vieira Group draft for Darren Weir/John Foote Bloodstock, Think Bleue was foaled and raised at Bowness Stud and was bred by Bert Vieira. She is the best of four winners from Group II STC Silver Slipper winner Ballybleue. By Arc winner Peintre Celebre, Ballybleu is from the family of champion sires Flying Spur and Encosta de Lago. 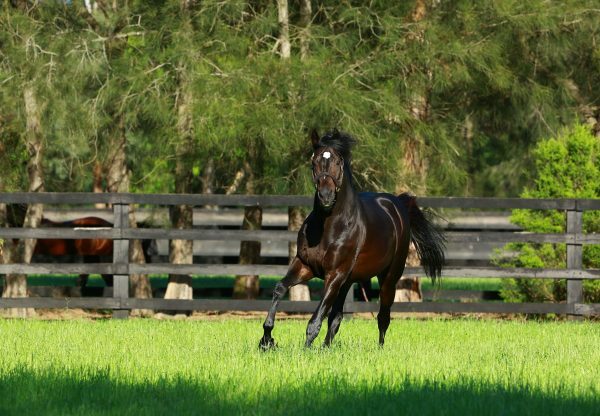 Think Bleue is the seventh stakes-winner for So You Think, who has 14 entries for the 2018 Inglis Australian Easter Yearling Sale.